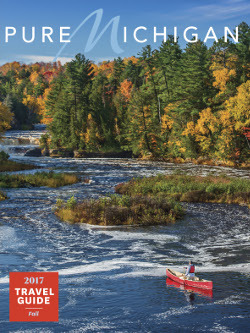 LANSING, Mich. — Sen. Mike Shirkey on Wednesday reminded residents of Branch, Hillsdale and Jackson counties that the 2017 Pure Michigan Fall Travel Guide is now available. From scenic drives and hikes to weekend getaways to culinary destinations, the 2017 Pure Michigan Fall Travel Guide highlights places to go and sights to see across the state, Shirkey said. Residents can access the digital version of the travel guide and sign up for weekly fall color updates at www.michigan.org. They also can contact Shirkey’s office to receive a free print copy of the guide. Call 517-373-5932 or email MikeShirkey@senate.mi.gov.